Pictures courtesy of Paulette & Stephen Modiano. Description courtesy of Paul Jackson. This book measures 8 1/8" x 5 7/8" and has 90 pages. 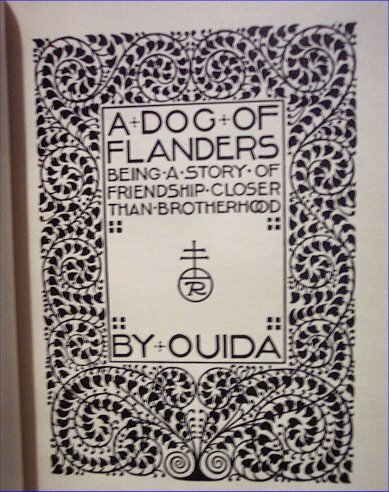 The text body is Scotch Roman and was printed in two colors on Roycroft hand-made watermarked paper for the regular edition which was bound in paper over boards. 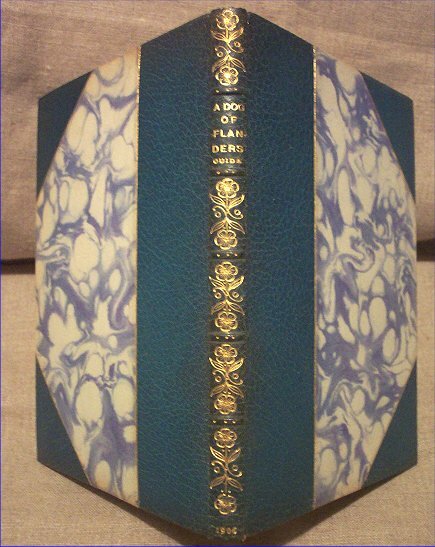 An edition of 110 was bound in paper over boards, suede, 3/4 Levant, or full Levant and printed on Japan vellum. 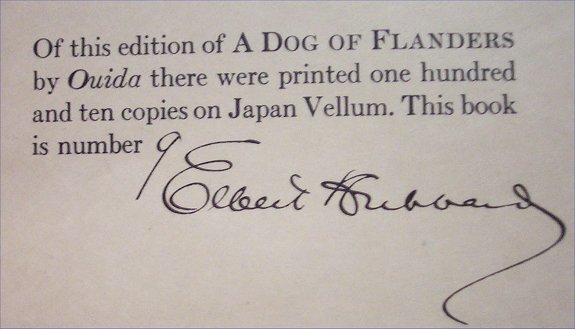 The edition of 110 was signed and numbered in Elbert Hubbard's name. Note: McKenna's bibliography does not mention the 3/4 Levant or the full Levant bindings in the edition of 110, but as can be seen above there was a 3/4 Levant binding. 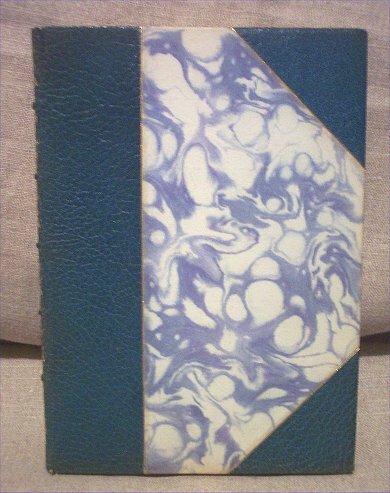 Follow the full Levant link below to see the full Levant binding.